Eless had been lamenting, jokingly, about all the windows in the front of the shop. They did let in a lot of sun. On this day there was a sudden large shadow cast through the window. Large shadow for a mountain of a man. Mason peered in through the window for signs of the small elfess before he moved for the door. He thought he saw someone in there so when he opened the door and stepped inside he called out for her. "Yo, Bug?" As he looked around he suddenly started to get a more nervous. Beyond the reason he was there, he realized he was surrounded by glass. Fragile...breakable...things. And there he was, a possible bull in a china shop. When Eless finally appeared she was greeted with an almost nervous smile. Mason reached up, his hand rubbing across the back of his neck. "Hey, Eless....I really need your help." There was a nearly infinite amount of glass; golden sunlight caught in the myriad of mirrors and facets and cast the room in a warm glow. A soft chuckle escaped the busy novice entrepreneur when her keen hearing picked up her new nickname. The empath's head canted slightly as she regarded him with a hint of concern flitting through her gaze. "Good day, Mason. Thou dost know I will help thee the best I am amble. What dost thou need?" "Eless I need the help of an expert." She was going to laugh, he knew she was going to laugh. He looked away from the empath. His gaze taking in all the fine and elegant bits of glass before he finally looked back at her. "Bug, I need a dress." Posted: Wed Feb 18, 2009 6:56 pm Post subject: Bull in a Perfume Shop, Cont. "A dress?" She blinked several times and quipped, "Well, I can tell thee that plum silk, while not horrible for thy coloring, is nay the best choice for thee." She wiped her hands on the linen towel she carried, but she didn't laugh. She could see his nervousness without the aid of her empathy. "Why don't we go into the back, sit by the fire and discuss this. I may nay have bourbon, but I will nay force thee to drink tea either." All business, with a hint of mischief twinkling in her eyes that betrayed her serious tone, the elf ushered him to the more relaxed work room at the back of the shop. Now he found a smirk to give her as they moved into the work room. Still lots of glass and delicate looking things back there but he didn't feel like he would break anything just by taking a deep breath. "That was your color choice, Eless. And I looked damn good in it." His shift to a sly smile told that he hadn't forgotten and was still plotting revenge. He eased his bulk down into one of the chairs nearer the fire. One hand lifted to rub the back of his neck. "So, listen. I saw this poster up the other day...something about Fashion Week, and I got to thinking." He looked up at Eless for a second. "I need your help..." His expression softened. Most of the nervousness bleeding away. "I want to buy a dress for Eva." A soft smile formed upon her lips from both his words and the release of tension. The empath couldn't do her best work with any sort of discomfort mucking up the emotional "air". "I knew I liked thee, Sugar Plum." She winked and poured him a brandy, setting a plate of delicate madelaines cookies by his arm as well. "I can definitely help thee with that. What type of dress? Long, short? Formal, semi-formal, casual? Color? How about we start with is it for a particular event? Like dinner and dancing? We can go from there!" Her questions were rapid-fire, eyes shining brightly with excitement as she sat in the chair across from him. "Once we narrow it down, I can send word to Koy to have a few selections from which thou canst choose. I know she is crazy busy with Fashion Week, but she'll get something together for thee. " Mason needed a sip of brandy after hearing the barrage of questions. The black dress had been easy compared to this. He took a sip as he thought about all the questions. Then another sip. "Well, I thought about... well...a dress for... dinner and dancing, maybe. Something green or blue, I think those colors would look good on her. Short, but not cheap stripper looking..Eva's got nice legs... I mean...I guess more than anything I want something that will make her feel beautiful." By the time he had finished his little ramble he was watching Eless...she was the fashion oracle, after all. Posted: Wed Feb 18, 2009 7:10 pm Post subject: Bull in a Perfume Shop, Cont. "Definitely green, Mason. A nice deep green. A bright sapphire blue would be equally stunning! Medium weight fabric. The hem should fall just a couple of inches above the knees. The woman doth have fabulous legs!" She nodded in agreement and reached for her ever present note pad to jot down ideas as they began to come to her. "Not too clingy, but to skim her curves. We would nay wish for her to feel like she's squeezing into something as she is always wearing very loose clothing. Now then neckline... sleeves.... Hmmm..." Tap...tap...tap.. went the pencil against her lower lip. Mason was grinning more and more. "Well, does it have to have sleeves? I'm not sure about the neckline either." He took a quick drink of brandy to cover the wolfish grin. More straight faced, he continued. "I mean...I don't want her to feel like there is too much showing. Leave that hint of mystery and all that." He quieted down again to let the Master think. "Of course, Mason. That is the key to feminine allure-- the mystery." After they spent some more time with Eless grilling him, Eless handed Mason a note synopsizing their ideas for him to bring to Koy's. "Just give them the note and they will select some dresses from which thou canst choose. Do nay fret overly. The dresses do nay bite; however, Koy might since 'tis Fashion Week afterall." The mischief and mirth danced obviously in her gaze as she ushered him out the door with a quiet chuckle. The busy empath then returned to check upon the iris rhizomes she had started to macerate before Mason's plea for help. Instead of heading upstairs after her walk home with Connar as she normally did, Eless headed to the back of Heart Notes where the workroom was located. The sconces lit and the fire flared simply upon her entrance and she sat at one of the tables in hopes of working off the tension she felt. Topaz seemed pleased with her custom fragrance, so her first task was to blend the final fragrance, fine-tuning it slightly as she filled a simple glass vial with it. When the forest fairy was ready, she could come pick out a bottle to go with the perfume. Next the elfess set out the small bottles that contained the essences of white orchid, lotus blossoms, Egyptian jasmine, vanilla absolute and light musk. As the hours slipped away she layered the combination in several different orders, determining which accord would be the best as the heart note. Egyptian jasmine became her choice for this and she built the rest of the fragrance around it. Eless rubbed her eyes and hid a yawn behind a tiny hand. She had scratched a few notes next to Wyh's name: Unisex, clean, fresh, subtly sensual... The details would need to wait upon sleep and a meeting with the beautiful Ice Mage to determine the direction the fragrance would take. Mid morning came, and Wyh soon arrived at the parfumerie - the lovely scents drifting down the street guiding her feet more than Eless' directions. For the occasion, the Ice Mage thought to dress a touch finer than usual - choosing a long dress of royal blue silk, trimmed with silver braid at the cuffs, scooped neckline, and the trailing hem. About her waist was a sash of rich black patterned satin, so dark it almost seemed to draw the light of the morning sun within its folds, the ends hanging to brush against her knees as she walked. The door jingled as Wyh opened it - a smile on her face as she inhaled the heady aromas. She was very excited about the idea of having a fragrance made just for her - one she could share with her beloved. Her fingers traced over her heart as she looked about the shoppe, moving further inside. "Eless? It is Wyh - are you here?" At Wyh's voice, Eless stepped from the back room and flashed the beautiful Ice Mage a warm, inviting smile. "Wyh, Welcome to Heart Notes. I have been looking forward to this so much!" She made a little sweep of her hand for her friend to join her in the work room so they could relax more comfortably. The elf had already set a pot of tea to brew, and the low table by the hearth was set with small plates of fresh fruit and an assortment of breakfast pastries. She grabbed her notebook as she gestured to one of soft, ivory brocade chairs opposite her, before sitting herself. "Thou dost look especially exquisite this morning, m'friend. Thou art positively radiant and I want to hear all about why and who. 'Twill also help with crafting the scent. I have a few ideas already, but the better I know the wearer, or in this case wearers, the more accurate I can be with the blending." She added with an impish grin, "Besides we can have more girl talk without anyone else around." Wyheree looked about at all the vials and blossoms as she headed for the work room, settling into the very comfortable brocade chair - reaching for a particularly luscious-looking berry off her plate. Her cheeks were about the same shade as the berry as she spoke, relaxed in the warm and peaceful atmosphere. "He is Ciaran - I believe you may have seen him at Johnny and Sianna's wedding..." Wyh nibbled the berry, then reached for her teacup, taking a sip of the delicate blend before continuing. "When all was dark, and all my hopes seemed shattered, it was his voice I heard within the darkness - giving me one last strand to which to cling. Without him, I would not have recovered neither my physical nor my mental well-being." Wyh took another sip of tea, giving Eless a grin over her cup. "It does not hurt he is exceptionally easy on the eyes as well - with eyes that truly are windows to his very being, hair like the raven's wing, with the sharpness of the hawk in his bearing." She was about as rosy as Eless had ever seen her - and she swiftly reached for another berry, turning her silver eyes to her elven friend with a warm smile. "It has been so very long since I have had the chance to speak of such things with anyone - too long in fact. I fear I must sound like a first-year academy student, gushing about her first crush - but never did I dare dream to ever know a being like Ciaran. He is most unique, and I would love to have such captured within a fragrance - if such a thing is possible." The empath's smile grew as she heard Wyh speak. The woman positively radiated happiness and after what her friend had endured, it helped renew Eless' faith that there was good to be found in RhyDin. She had poured herself a cup of tea and sipped it slowly while she listened, nodding slightly when Wyh mentioned Ciaran's name. "Aye, I do believe I remember meeting him at the wedding. There were so many people, though, and so little time to really chat. I do agree with thee that he is very easy on the eyes," she added with a soft chuckle. "I found his presence and demeanor very intriguing, and that he helped pull thee from the darkness makes me want to know him more." Her expression gentled, "'Tis nothing wrong with feeling that giddy rush of love and happiness, Wyh. 'Tis all too rare... too fleeting in this realm." She took a nibble of a berry, grinning impishly as she teased lightly, "Besides pink is becoming on thee too." Although mischief sparkled in the elf's gaze, she listened and watched the Ice Mage closely. "Dost thou have particular scents that either of thee favor? Flowers... or less tangible like how the air smells after a spring rain? A favorite memory thou dost wish to capture?" Eless not only enjoyed catching up with her friend, but the challenge of crafting a fragrance for a couple to wear was exciting. Wyh settled back in the chair, taking a sip of her tea - her cheeks still quite the shade of pink. "It is rare indeed - so often, that flush of love lasts only until the morning light, then is gone. I feel most fortunate to have found someone like Ciaran..."
Her slender fingers traced over the rich satin of her sash as she pondered Eless' question. "There is a flower that blooms very early in the spring in my home realm - sometimes even when the snow has not fully melted. I have seen it called a nar-ci-suss here." Her fingers continued to trace over her sash as she went on, a soft smile on her face. 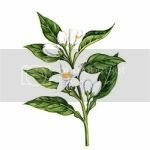 "Ciaran has developed quite a fondness for jasmine - we found a small shoppe that sells little votive candles, and that is what he favors - that, and citrus..."
Another sip of tea taken, as Wyh continued softly. "My most favorite scent of all, is the crispness in the air after a snowfall, when the moonlight sets the flakes to sparkle like diamond dust. Is that possible to capture, Eless?" She smiled as she listened to Wyh speak, setting her cup of tea down to grab her notebook and pencil. "I am nay sure if we can capture it exactly, Wyh, but I am going to get as close as we can!" The empath nibbled on her lower lip as crossed out some entries next to her friend's name and added a few others. "I am considering snow drops and narcissus for the top notes, followed by clementine zest, dewy cypress..." she trailed off, tapping her lower lip with the end of the pencil. "Some clary sage, a hint of mineral amber and jasmine. We want to keep it watery, fresh, but I'd like the drydown...the base notes to be slightly warm and intimate." She glanced up to see what Wyh thought. Wyh listened as Eless spoke - her fingers still lightly smoothing her sash. Color still high in her cheeks, she reached for the teapot to once again refill her cup, taking a sip before speaking. "It all sounds so lovely, Eless - especially the snowdrops, as I am quite fond of them as well. Though, I am not sure what clary sage smells like. Do you have some here?" She mulled over the other ingredients. "The cypress may indeed be the key to capture the snowfall in a fragrance - perhaps with a touch of wintergreen as well?" Still rosy, she continued. 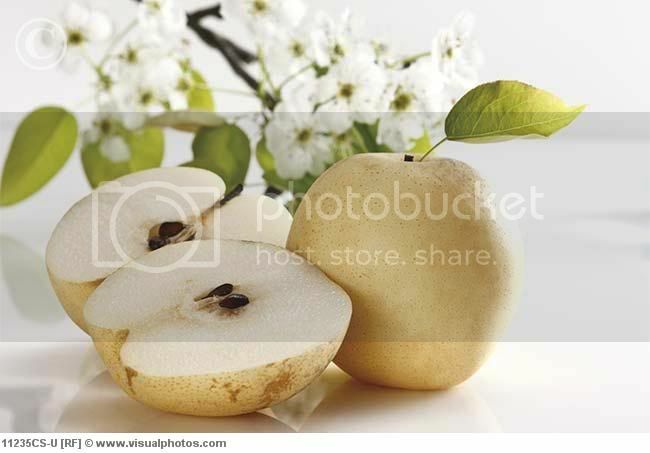 "The warmth and intimacy you describe for the fragrance would be perfect, especially for Ciaran. It sounds as if you can blend the essence of what we are together with this scent." "Wintergreen! That is perfect, Wyheree!" She grinned excitedly, "Thou art very good at this. I had thought mayhaps licorice to help capture the cold of snowfall, but I like the wintergreen much better... especially with the accords we have already selected." Eless paused for a few sips of tea before hopping out of her seat and heading to one of the work tables where she sifted through the various bottles until she found one labeled "clary sage". She set out a few test strips and a few other small bottles that contained the essences they had mentioned. "I found the clary sage. Are there others thou art unfamiliar with? We do nay wish to try them all at once, of course." The empath positively radiated excitement. 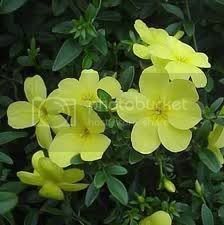 "The narcissus and jasmine I know well - also the clementine and the wintergreen. Amber... that is not as familiar, not in a scent in any case. I would also like to sample the cypress, just to see how close it comes to the scent of the woodlands from my home realm." Wyheree colored up at Eless' praise, waving her slender hand. "No - I fear I am not very skilled in the art of crafting fragrances - certainly not as skilled as you are. Potion classes were my weakness back in the Academy - I think I forced the warlock who taught it into early retirement, so foul were my creations." She grinned at the old memory, eagerly awaiting the test strips. The fragrance was already more than she ever dreamed it could be, and her own excitement showed in her silver eyes as she watched Eless at her table, taking another sip of tea. Her fingers continued to smooth the black satin of her sash as she thought of Ciaran's reaction to the special scent created just for them - she was sure he would be just as excited as she was, perhaps even moreso. Eless laughed merrily as she listened to Wyh recount her days at the Academy. She carefully placed a tiny droplet of the clary sage essential oil on the test strip, letting the bright, earthy, herbaceous sit for a moment as it could be a bit strong initially. "This is the clary sage. 'Tis very good for the middle accord as 'tis medium of strength and while 'tis warm, 'tis also bright with a very subtle fruity note that will work with both the clementine and the floral." Next she prepared a test strip for the cypress accord. "This is fresh, clean and has a very mild evergreen component to it. It blends exceptionally well with the clary sage and 'tis known to have soothing properties. With this I hope to capture the scent of the air after a rain. Then with wintergreen we can at a "crispness" to it to evoke a snowfall." Last she prepared a strip for the mineral amber, explaining while she worked. "Mineral amber, while technically not a mineral, 'tis different than the amber or ambergris that is more commonly used in perfumes. This is from fossilized tree resin instead of from a whale." She winked and set the strips to rest for a few moments. "If thou dost like these, then I will create a small sample vial for thee to take and wear for a couple of days. 'Tis really the true test. If thou dost like it, then I can fine tune it, make a larger portion of it and we can choose a bottle for it. I have a couple crystal ones whose cuts remind me of snowflakes that thou mayest like." When the Ice Mage was ready, the strips were set out for her to take her time to explore. Wyh watched Eless prepare the strips with keen interest - the process fascinating to her, nodding as Eless described the clary sage and the cypress. She giggled when Eless explained the differences in the types of amber. "It would be very strange indeed to where a whale behind one's ears." Once the strips were ready, Wyh set her cup down, and stood, walking over to the table. First, she leaned over the strip scented with the clary sage, and inhaled. The earthiness tickled her nose, but she did detect the subtle hints of fruit Eless described, and she nodded. "I was unsure of this one, but it seems to tie all the others together, as you said." She went next to the cypress strip, closing her eyes and taking a breath. She immediately saw the towering pines of her home realm in her mind, murmuring softly. "Perfect - the cypress will be perfect." Last, she moved to the amber, inhaling deeply. She caught hints of evergreen, hints of sunshine, and she smiled and nodded. "This will be a lovely addition as well Eless. I love them all!" Her eagerness and delight were plain in her silver eyes. "How long will it take for you to craft the sample vial? I cannot wait to see how all the different scents will come together - you truly work magic here." The description of the bottles had her eyes sparkling, and she gave Eless a merry grin. "Do you have the bottles here - perhaps I may see them now?" The Ice Mage fairly bounced in her excitement. The empath blushed faintly at Wyh's words. "Thank thee, Wyh. I can craft the sample whilst thou dost look at the bottles if thou dost nay mind?" she offered and went to the doorway that led back into the front area of the shop. "Take thy time and see if anything dost catch thine attention. If thou dost nay find something that doth appeal to thee, then we can always commission something special from the Kaiser Brothers." She couldn't help but smile as she guided the Ice Mage into the Salon where the morning light filtered through the windows and cast a golden glow over the room. All of the crystal and glass sparkled in the sunshine and the flowers seemed as if they reached towards the sun's warmth. "I would point out the bottles that I mentioned; however, I would like to see if a particular bottle "speaks" to thee. There are also some scented soaps and Rena hath made scented candles -- I have a few on display and am waiting for her to make some more." She added softly with a smile, "Just open thy heart and see what happens." The Ice Mage nodded. "I do not mind looking in the slightest, Eless - there are so many pretty things to see." As Eless slipped back into her workroom, Wyh took up a small wicker basket she spied near the entrance, and peered at all the shelves. The different fragrances intertwined and danced all about her, calming and relaxing her as she browsed, admiring the crystal and alabaster bottles. A fine-milled soap, scented with jasmine and a whisper of musk, soon found its way into her basket, along with several votive candles laced with cinnamon and nutmeg, vanilla and honey taper candles, and a medium-sized pillar candle that smelled of tangerine and sandalwood. A flicker of light caught her eye, and she turned towards the windows. There, sitting prettily in the morning light, was a small bottle so dark a blue, it would seem black without the direct light. Cut into its surface were a myriad of starbursts, each facet shining like snowflakes in the sunshine. Wyh set down her basket, and carefully picked up the bottle, lifting off the stopper, which was cleverly crafted to resemble a snowflake. It felt heavy in her hand, warm - almost welcoming her touch. With a soft smile, Wyh gently replaced the stopper, and gently nestled it among the soaps and candles. Her smile lingered on her face as she continued her browsing, waiting for the first sample. The elfess hummed quietly as she blended together the essences into a small glass vial with a glass stopper and placed the glass stopper with a satisfied smile. 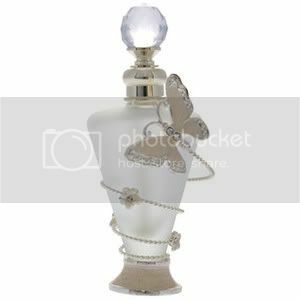 She took the sample fragrance with her as she headed to the main salon of the parfumerie where she watched the lovely Ice Mage select the cut crystal bottle that would house her custom fragrance. "Didst thou find exactly what would please thee, Wyh?" Eless wanted to ensure her friend was pleased with the entire fragrance experience, not just the scent. Her eyes sparkled as she handed the vial to Wyh, "Try this for a couple of days to see how thou dost like it and Cieran too. If it doth please thee, then let me know and I will blend the full amount and place it into this bottle." She chuckled softly, "So, I will need to keep the bottle here for now; but, please take everything else with thee to enjoy in the meantime. 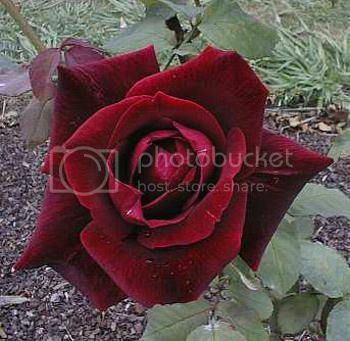 I am eager to here what thy love doth think of this fragrance as well." Wyheree turned towards Eless, smiling warmly as she lifted the basket slightly - that hint of pale pink in her cheeks. "I have found so many delightful things, I fear I will leave with half of your wares." She took the small bottle from her friend - the fragrance already enchanting to the Ice Mage, and carefully settled it in the basket, then withdrew the midnight crystal bottle and handed it to Eless. "This bottle called to me from the window - I have never seen crystal such as this." Her smile softened as she continued. "I cannot wait to see how Ciaran reacts to the fragrance - though I am sure he will love it, because I already love it. Thank you again for making such a gift for us, my friend." After setting the basket on the counter, Wyh pulled a small purselet from a hidden pocket within her skirt, and began counting out the silver coins owed for the soaps and candles. "I will return in a couple days' time, after Ciaran and I have had a chance to truly experience the fragrance." With a grateful smile, Wyh offered the coins to her friend - eagerness and delight shining in her silver eyes. "Nay, Wyheree, thank thee for this creative challenge. I enjoyed it immensely as well as thy company," the empath responded. She took the midnight crystal bottle that would be filled with the final formulation and added, "I was hoping this would find thee. 'Twas crafted by elves in Llainoeriel where I get many of my perfume bottles. As with the others, they are unique and thou wilt nay find it duplicated. I am looking forward to hearing what Ciaran thinks and to spending more time with thee soon, m'friend." Elessaria saw the Ice Mage out, watching the beautiful woman head down to the lane until another customer drew her attention back to her work. Feeling a bit refreshed after a solitary, sunset picnic dinner at the ruins of Asheby Manor, Eless returned to Heart Notes to complete the custom fragrance she had been working on for Sianna. Johnny had made a general request of "something of roses and spices" a few weeks ago; but, the novice parfumeuse had fallen a bit behind in her orders. Now that her gifts seemed to be working normally, she could add the Je ne sais quoi that was part of her signature scents. After carefully pouring the fragrant liquid into a simple glass vial, the petite elf brushed an errant wisp of gold from her eyes of blue flame and made some notations next to Sianna's name in her notebook. She hoped Johnny would approve the sample she developed. Base notes: warm macchiato, vanilla and caramel. Elessaria sagged wearily against the edge of her work bench and brushed a few stray strands of her golden hair from her eyes. A satisfied smiled graced her pale lips as she stared at the final creation of her limited edition product line that was for the Benson Boulevard Initiative and the foundation in Jewell's memory. In spite of the fact that her gifts were not yet up to full strength, she was proud of her word. Delicate fingers wrapped the strand of pale blue pearls around the neck of the single bottle of eau de parfum for the line. She had named it "Papillon Eph?m?re" to follow Koy's theme and to emphasize that this was a limited edition product line. The petite elfess had crafted the bottle herself out of elven laen into a hollow crystalline butterfly. The strand of rare pearls could be worn as a necklace if the owner chose to remove it from the collectible bottle. The other products she created for the line included an eau de toilette, crushed pearl infused body lotions, body butters, bath gels and oils all decanted into lovely glass bottles created by the Kaiser Brothers. 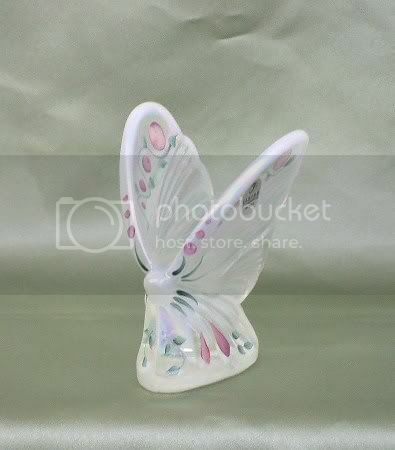 There were also hand crafted soaps in a variety of butterfly shapes and in the imitation of different seashells. The entire line of the ethereal scent would only be available for 45 days after the opening gala. Papillon Eph?m?re was created by the empath in memory of Jewell and with the desires of the fashionistas who were regular visitors of the various Benson Boulevard shops. It is an elegant scent of watery florals that develops with a subtle warmth and dries down with feminine mystery. Some of the notes included in this singular creation include: sunny citrus, honeysuckle, water hyacinth, aquatic lotus, white linen, Spanish cistus flowers, Jacaranda wood, and pheromones. Elessaria placed the stopper in the intricate glass bottle crafted in the likeness of Aja's ship, the Breeze. With the many holidays of the season and the increase of orders, it was difficult for the elfess to keep up. She really would have to see about getting an assistant here and soon. Aja had mentioned that not only did she truly enjoy the scent of jasmine, but so did her love. With that in mind, Eless crafted a signature fragrance for the lovely woman that she hoped captured both the woman's essence and her likes. Eless wanted the opening notes to be light, fresh and suggestive of Aja's love of the water. So the top notes included: Water hyacinth, water lily, lotus blossom and seaspray. The heart notes would suggest her exotic nature and included: Privet blossom, Calypso orchid, scarlet begonia and yellow jasmine. The fragrance would then develop with a subtle warmth with the endnotes including: red currant, rum, sambac jasmine, blonde woods. Elessaria was finally satisfied with the fragrance she had developed for Lola. It had taken some clever working to include the scent memories the young woman had wanted, without having the perfume smell like furniture polish. It would open with light citrus touch, develop with a floral and rose-centered heart and would finish with warmth and spice. She poured the final eau de parfum into a delicate crystal bottle fashioned in the likeness of a neroli blossom. Top notes include: Neroli, petit grain, lemon verbena, tarragon. 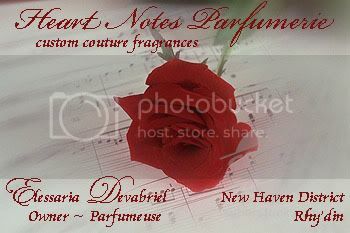 Middle notes include: Jasmine, rock rose, tuberose bud, Egyptian pelargonium. End notes include: Coriander, cumin, pink pepper, dark chocolate. Elessaria found working on Fiora's signature scent truly enjoyable. She believed she managed to capture the essence of the realtor's vivacious personality as well as adhere to the request to make it "fun". Eless had the fragrance open with a sharp, vinyl accord to get that subtle, yet "in your face type" feeling, because Fiora's presence is always, always noticeable. The opening notes would be fresh and lightly floral, and the mid notes would be delicate, bubbly and feminine. The final accord would develop into a complex, but subtle blend of spices to finish with people wondering what was in it-- sort of how people felt after they experienced the effervescent Fiora. The eau de parfum was poured into a crystal bottle that was crafted into the likeness of a lotus blossom. End notes: orris root, frankincense, white suede and oakmoss.